Posted by nrhatch in Exercise & Fitness, Happiness, Nature. 1. Plan a Weekend Get-A-Way. One or two night stays at Historic Hotels offer a change of scenery, pace, and place without breaking the bank. The Colony Hotel is spectacularly situated amid glorious and manicured gardens on a rocky promontory above the Atlantic Ocean. The white wooden structure was built in 1914 and spans a full 300 feet, topped by a cupola and the weather vane of a large ship. 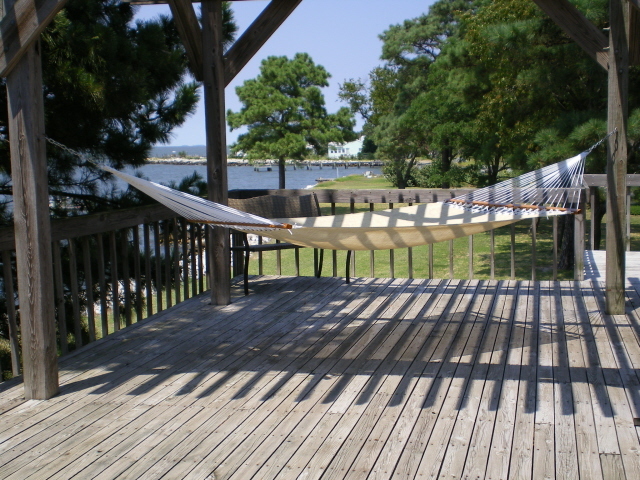 The wrap-around Ocean Porch and the gazebo offer views of the ocean and river. The Colony became Maine’s first environmentally responsible hotel in 1994. If you live in the US, visit the National Trust for Historic Preservation’s Historic Hotels of America for ideas on where to stay near you. To be selected for this program, the hotel must be at least 50 years old, listed or eligible for the National Register of Historic Places, or recognized locally as having historical significance. Members of the National Trust are eligible to receive a 10% discount off the best available rate. For details: National Trust Travel & Sites. 2. Toss a frisbee or play catch. Round up the kids for some fresh air and exercise. Toss a Frisbee. Play Catch, Monkey in the Middle, Tag, Dodge Ball, Kick Ball, Hide & Seek, Croquet, Simon Says, Bocce Ball, Hula Hoop, Duck Duck Goose, Badminton, Mother May I?, Hopscotch, Jump Rope, or Volleyball. 3. Make Ice Cream Floats. Fill tall glasses with vanilla ice cream. Pour Root Beer, Coke, or Orange Soda over the ice cream. Add a straw and enjoy a fizzy delight while swinging in the hammock. 4. Pack a Picnic for the Park. Grab a cooler and fill it with picnic favorites and essentials ~ sandwiches, salads, chips, sodas, cookies, and brownies. Toss some blankets and folding chairs into the car. Head to a local lake, beach, park, playground, or historic site to have lunch in the great outdoors. After lunch, hit the playground and swing on the swings, hang from the Monkey Bars, and slide down the slides. 6. Check out local art and artists. With a bit of research, you can add some culture to your day trips by visiting museums, galleries, or local artist enclaves ~ like Village of the Arts in Bradenton, Florida. 7. Ready . . . Aim . . . Shoot! Enter the NWF Annual Photo Contest and win up to $5,000! The 7 Photo Categories include: Baby Animals, Backyard Habitat, Birds, Connecting People & Nature, Landscapes and Plant Life, Mammals, and Other Wildlife. Final date to submit ~ July 14, 2011. Contest Details. 8. Have a Talent Show! 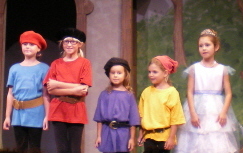 Give everyone in the family a chance to showcase their special gifts, interests, and abilities ~ singing, dancing, clowning around, telling jokes, playing musical instruments, juggling, reading Shakespeare or poetry, acting in short skits, or performing magic. Use your video-camera (if you have one) to record the fun. 9. Visit a National, State, or Local Park. Admission at US National Parks is FREE on June 21 to celebrate the first day of summer. For more ideas, check out Outdoor Fun for the Whole Family. 10. Camp out under the Stars. Not Fun in the Sun, but camping out is a great way to connect kids with the wonders of wildlife. Check out Great American Backyard Campout at NWF. 11. 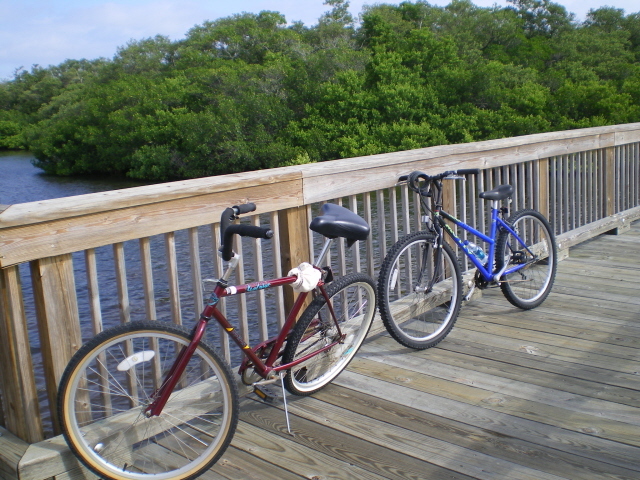 Go for a Nature Walk or Bike Ride. Enjoy the beauty of your own backyard. Take a stroll around your yard, neighborhood, or a local park or preserve. Stop along the way to discuss any interesting sights or sounds. Ask lots of questions. Listen to the answers. Turn your walk or ride into a Photo Scavenger Hunt and see how many interesting shots you can find. If you capture any stellar shots . . . see idea #7. 12. Plan a House Swap to enjoy a Destination Vacation. Swapping houses is a wonderful way to enjoy an extended stay in another area of the country (or the world) without being cramped into a hotel room. For more on the topic, check out Angela Barton’s post, Frugal Summer Vacations. 13. Host the Summer Olympics in your yard or at the park. Events might include: Three-Legged Race, Water Balloon Toss, Mad Hatter’s Mad Dash, Wheelbarrow Race, Long Jump, High Jump, Egg~Spoon Race, or Frisbee Golf. Keep track of winners for each event ~ awarding Gold, Silver, and Bronze medals (which your kids can make earlier in the week out of construction paper, glitter, and glue). What about you? How does your family enjoy Fun in the Sun? Our families are spread out too. Sounds like a Not-So-Sunny Sunday, Tilly . . . I know! A movie marathon, buried under the covers, munching maltesers! Thanks, Kate. Your outings in England always seem like splendid FUN without requiring application for a second mortgage to cover the cost. This year we are going riverside for ten days…no cells, no internet, just nature…Ok we do have electricity! Playing on the river and hiking, ah bliss! We haven’t done this for a whole week for a few years, am soooo looking forward to it! Awesome, Suzi! Hope you and the Dirt Man have a blast! Don’t forget the S’Mores! Toasting marshmallows is one of the best parts of sitting fireside. Absolutely! I’m going to have to start making my list so I won’t forget anything…I have a couple of weeks….bliss starts July1 and ends on my bday the 10th! But I plan to be back, as long as I don’t get eaten by the bears, snakes, mosquitos, or gnats!!!! Thanks for the mention Nancy! This is a great post! I was just making a list of activities to do with our niece and nephew when they visit – hike to water hole, make pizza, make up and record a song with my husband’s equipment – and now I’m going to add camping in the backyard! And thanks for the heads up on the photo contest- I’m passing that along to my photographer brother. He takes great animal photos. You sound like me . . . I’m big on making lists of FUN activities when nieces and nephews are due for a visit. Hope you enjoy your campout. Glad that the Photo Contest sounds like something that might interest your brother. I enjoy your camping posts . . .
We stayed in a nice B&B in Kennebunkport several years ago. I loved the lobster bisque I had for lunch there, but I discovered I was allergic to clams after lunch at the clam shack the 2nd day. Even tho, it was a nice get-away. Glad you enjoyed the trip despite learning of a seafood allergy. Getting sick on vacation is never fun. When my grandparents took us to Kennebunkport as kids, we stayed at Cabot Cove Cottages and ate at the Clam Shack many times. I have many fond memories of the Maine coast. Wouldn’t that be a fun thing to organize with some Wee Ones. In 6th, 7th, and 8th grade, we had field days with many of those events. Wonderful ideas Nancy. Especially the nature walks or bike ride. I would like to visit a state park we haven’t been to yet for the day. Great ideas for fun. wondering why a promanade on a beach and a good swim not in the list Nancy! I also didn’t include golfing, fishing, and boating for the same reason. People interested in those pursuits already have them on their calendars.